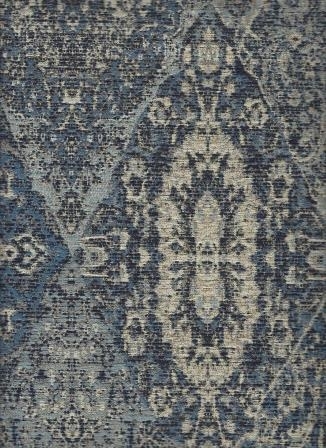 Gorgeous durable heavy weave tapestry like medallion pattern in deep blue tone on tone color palette. Experience this quality fabric in your home with a sample cut. Repeat: V 27.0" - H 28.0 "